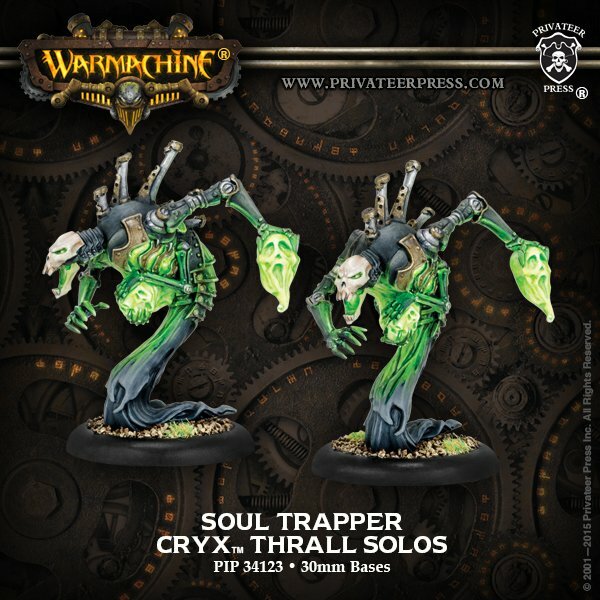 Privateer Press just got 4 new sets of minis to stores for you Warmachine/Hordes players. Let’s take a look! Drawn to the dying, the soul trapper stalks the front lines with both eagerness and desperation. Its arms continually wrest souls of the recently departed from the air, limbs darting here and there like the workings of a manic threshing machine. It crams its stolen harvest into prepared chambers akin to soul cages within its body, where they await transference to other, mightier entities. It is said the screams of the souls transferred through the creation’s chest can be heard echoing from its ribcage long after they have gone, though few mortals have ever gotten close enough to hear. 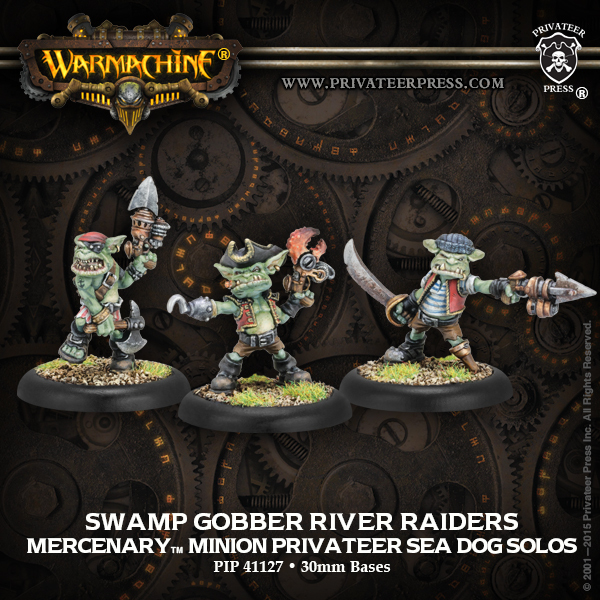 Although many gobbers have gained acceptance at the fringes of society, swamp gobbers have always held a particularly unsavory reputation, and those who serve as river raiders among the pirate crews that prey on western Immoren are no exception. With rusted hooks, axes, and swords, they hack into their enemies with a savagery common only to the wilds. This towering model exudes raw, unrestrained power and unearthly grace. The ferocity of the Extreme Warpwolf is unmatched and strikes fear into all who would oppose the Circle of Orboros. In farrow society, might makes right, and only the strongest and most willful climb the ranks over the battered bodies of those left below them. 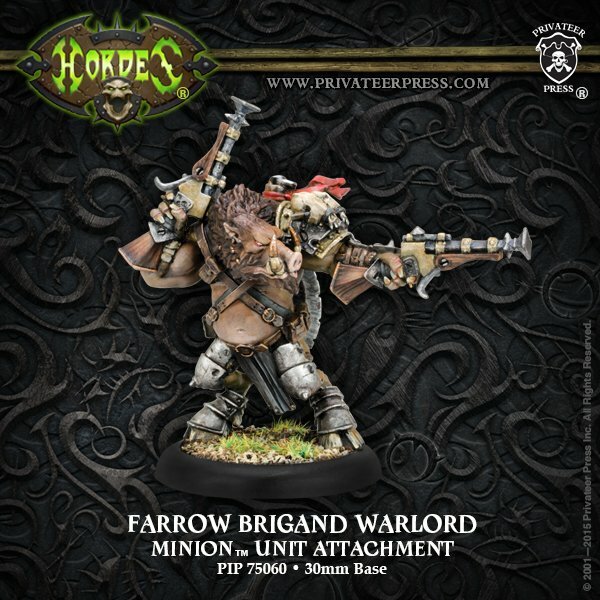 Through bloody battles against both friend and foe, farrow warlords are those rare few who have scraped together enough clout to hold their positions through a lifetime of unbridled violence and cunning. No warlord’s position is secure, requiring demonstrations of sheer brutality to keep the ambitions of their subordinates in line. The slightest hint of weakness can topple any of them. To the farrow, this represents the natural order.